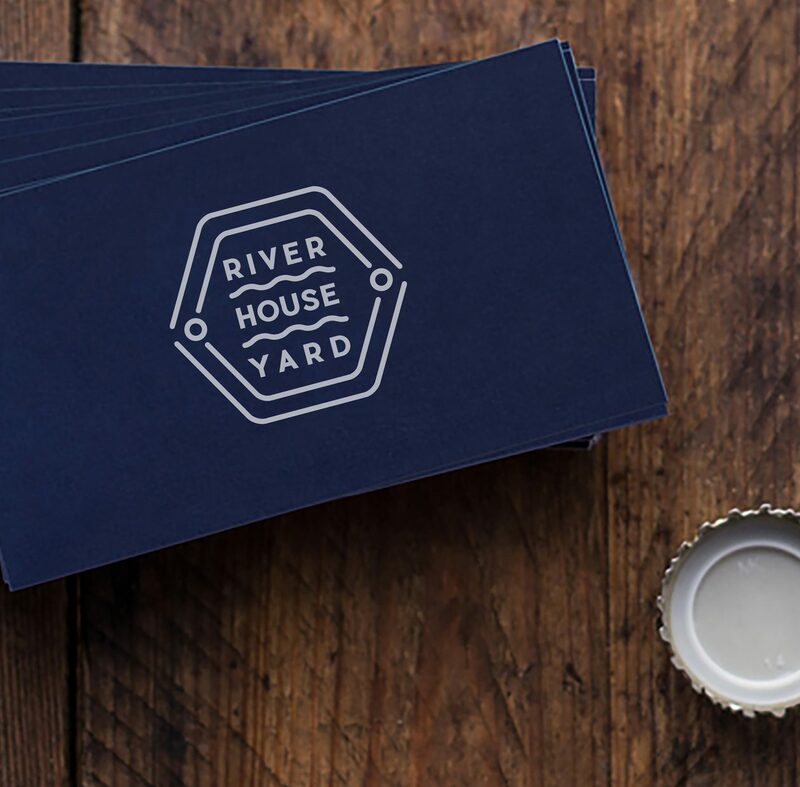 We have worked alongside Castleforge Partners on a range of real estate branding projects, including the development of a confident new brand identity for River House on Belfast’s High St as it undergoes a makeover. 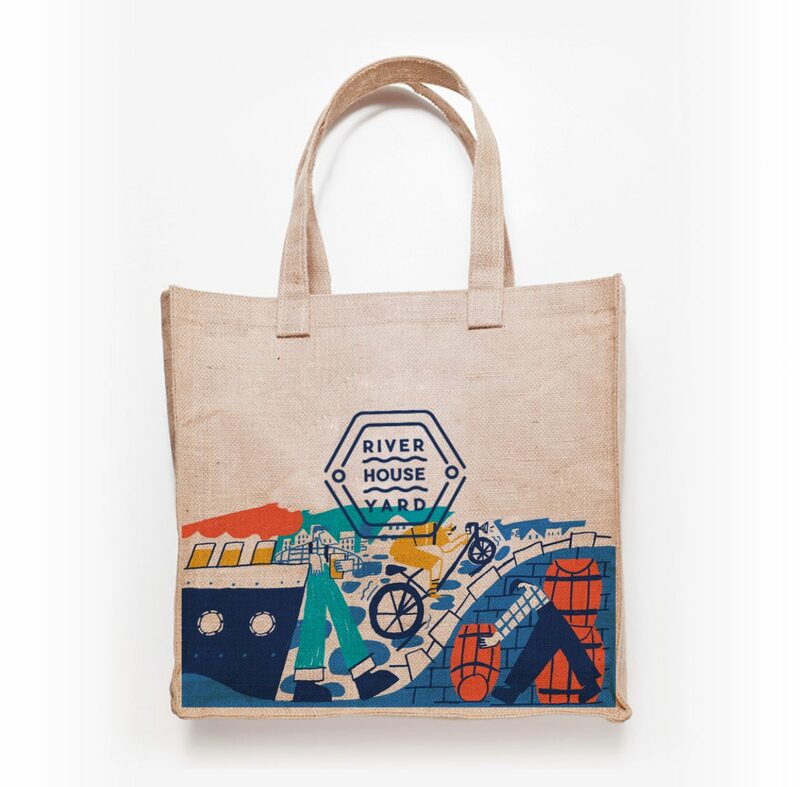 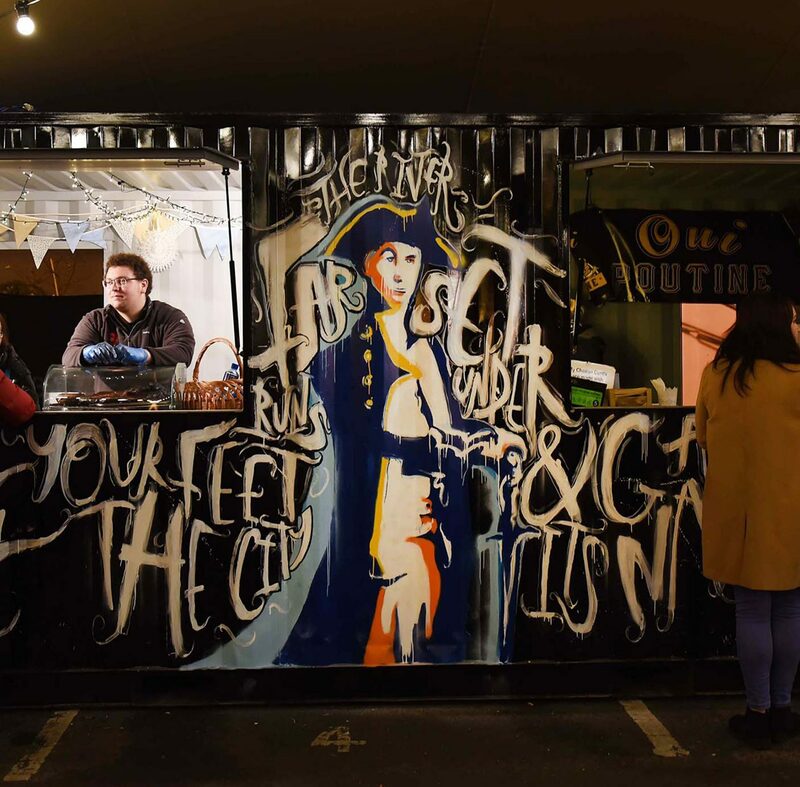 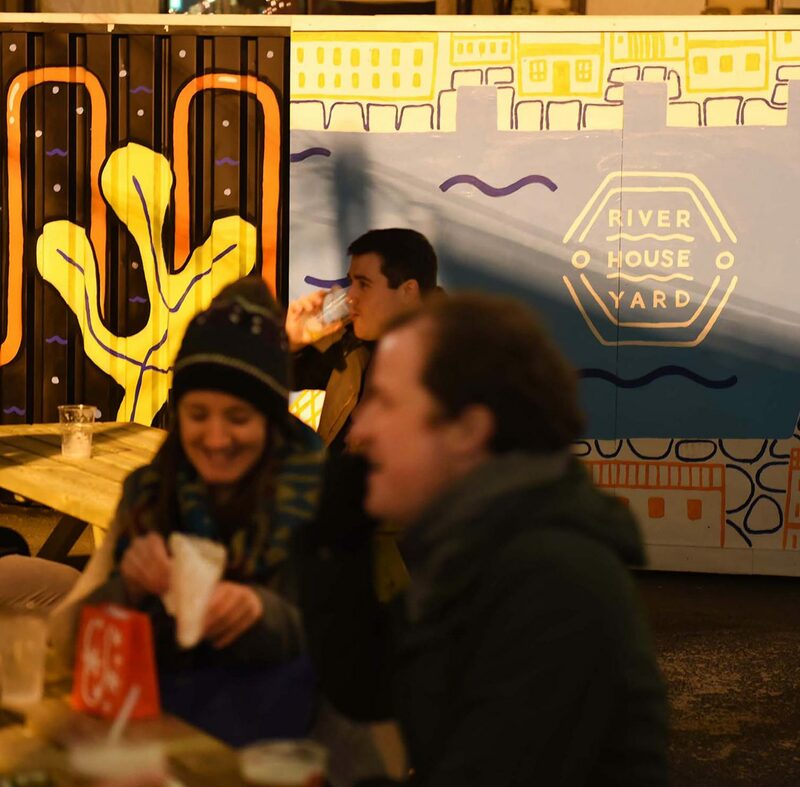 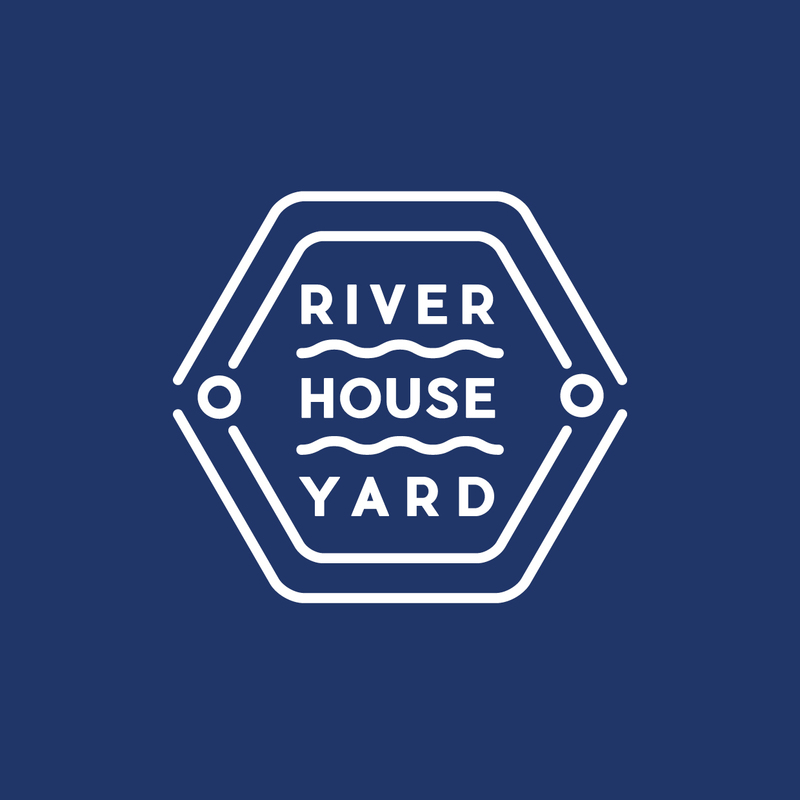 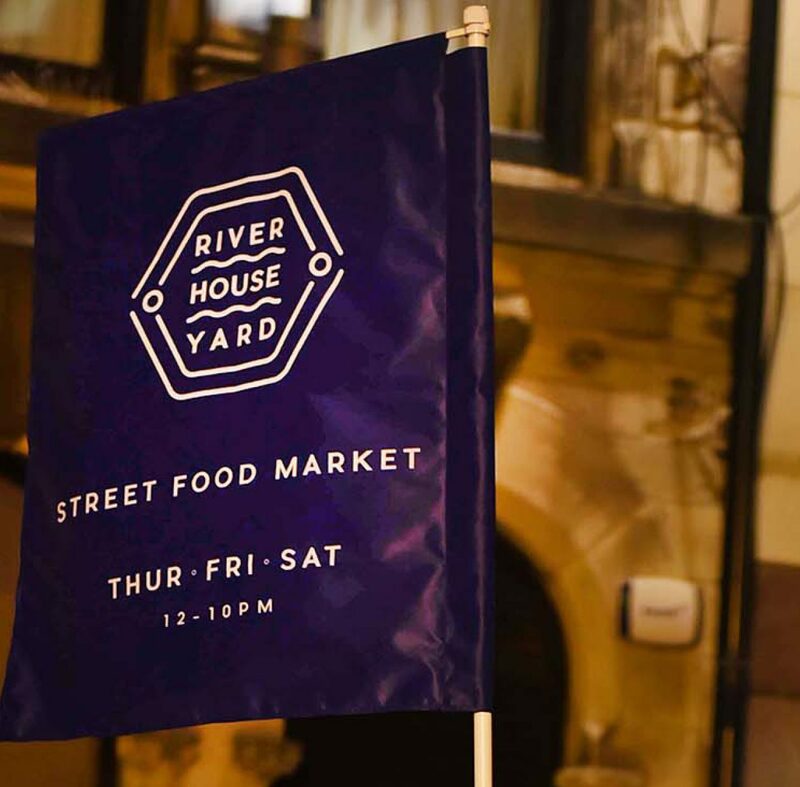 One aspect of this project entailed designing a brand and visuals for River House Yard, a festive street food market which transformed River House’s outdoor area throughout November-December 2016. 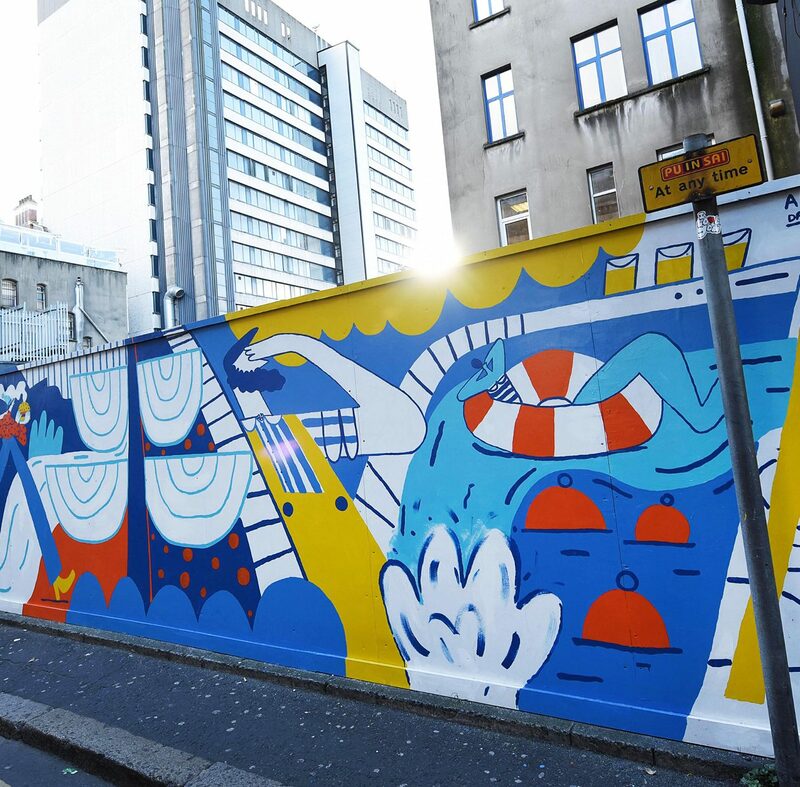 Not only was it imperative for such a venture to possess strong and engaging brand identity in itself – which was deeply inspired by notions of High Street’s rich maritime history – but we also had a unique chance to develop and illustrate some striking large scale mural artwork to reflect this brand and enhance the space. 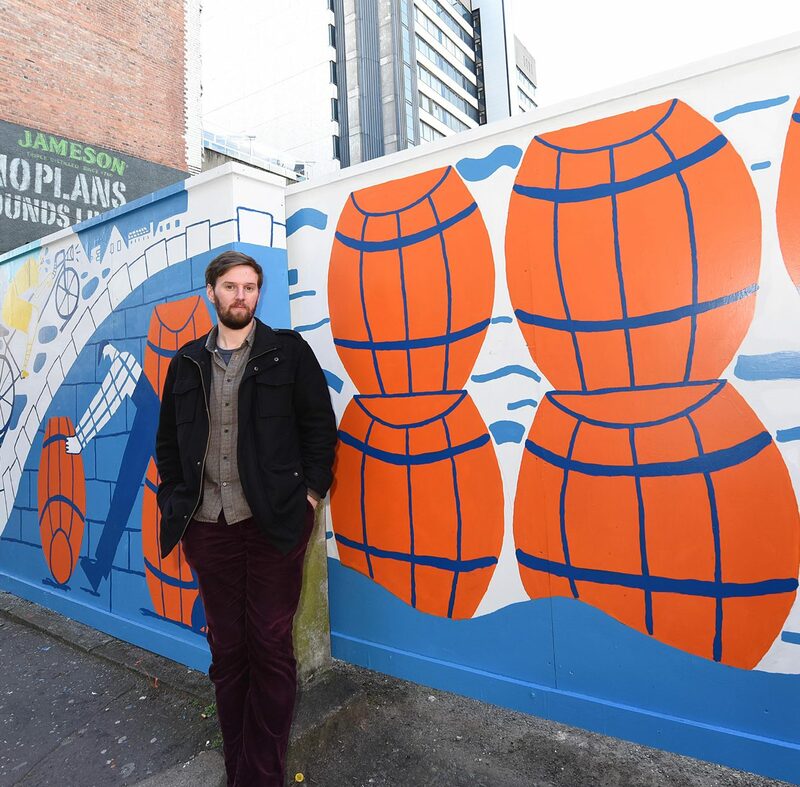 This job involved a range of our illustrators, including Conor McClure and Dave McMillan, whose wonderfully vivid external gate mural marks a spirited tribute to Belfast’s industrial heart – While holding its own as a pop-up landmark within the city’s vibrant Cathedral Quarter.